The Mid-Year Meeting is Right Around the Corner! If you have any questions, please reach out to Sarah Wagener, Fellowship Manager, at swagener@chapinhall.org. The Doris Duke Selection Committee Meeting took place at Chapin Hall at the University of Chicago on March 8 and 9, 2018. Nine members of the selection committee met to review, interview, and select the 15 newest members of the Doris Duke Fellowships for the Promotion of Child Well-Being. Stay tuned for an official announcement and introduction to our newest fellows next month! Spotlight: G'day from Kaela Byers! The U.S. Delegation at the Australian Early Development Census National Conference, March 2018. Kaela Byers, Cohort Three fellow, attended the Australia Early Childhood Learning Exchange from March 13-21, 2018 as a member of a delegation that sought to learn from Australia's policy makers and leading program and research experts about the implementation of the Australian Early Development Instrument (AEDI) and how it guides policy and program development. The U.S. Delegation was led by Kim Boller, PhD, Senior Fellow, Mathematica Policy Research, and also included Patricia Bowie, Senior Fellow, UCLA Center for Healthier Children, Families and Communities, Christie Anderson, Executive Director of Early Learning, Oakland Unified School District, Debi Mathias, Director, Quality Rating and Improvement Systems (QRIS) Learning Network, BUILD Initiative, and Jill Sells, Clinical Director of Early Childhood Initiatives, National Institute for Children’s Health Quality. Delegates were hosted by the Fraser Mustard Centre, Telethon Kids Institute, and the Government of South Australia. The exchange included attending the Australian Early Development Census National Conference, and meetings with policymakers and research leaders from the University of Adelaide to discuss topics related to measurement of child well-being. The group visited the Blair Athol and Trinity Gardens Children’s Centers in Adelaide, and the HIPPY early childhood program in Salisbury North, South Australia. Members of the delegation will complete a case study to inform strategy development related to population-based measurement. The Australian host delegation plans a similar exchange to the U.S. this summer to examine best practices for scaling initiatives, demonstrating value through evaluation, and adapting population health planning to educational settings. Kaela was also able to meet some local wildlife - here she is with her new kangaroo and koala friends! Wendy Ellis, Cohort Seven fellow, will be a featured speaker for the American Public Health Association’s kickoff of National Public Health Week with the Surgeon General on April 2, 2018. The event will be livestreamed from APHA. Registration for the event and livestream can be accessed using the following link: http://nphw.org/events/nphw-forum. Rachel Katz, Cohort Six fellow, received the Eliot-Pearson Doctoral Program Research Practice Integration Award. This award is given to the student whose accomplishments in scholarship and applied work has demonstrated the most potential to foster the integration of research and practice. Rachel was also selected as one of the two national recipients of the Society for Research in Child Development State Policy Postdoctoral Fellowships. This postdoctoral fellowship supports work in state executive branch agency offices that focus on early childhood, helping to bridge research and policy. She will be working at the Massachusetts Department of Public Health (DPH) with the individuals who oversee the state’s Early Intervention (EI) program. Francie Julien-Chinn, Cohort Five fellow, took part in a panel of social workers on the Hawai’i Public Radio program, The Conversation. They discussed the profession of social work and the state of the child welfare system. Click here for a listen! 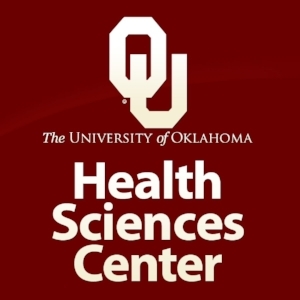 Jennifer Daer Shields, Cohort Six fellow, matched for her clinical internship at the University of Oklahoma Health Sciences Center as their Child Maltreatment intern. Jenna Montgomery Armstrong, Cohort Five fellow, accepted a post-doctoral fellowship with Dee Norton Child Advocacy Center in Charleston, SC starting September of 2018. Bridget Cho, Catherine Kuhns, Sarah Prendergast, and Lindsay Zajac, all Cohort Seven fellows, collaborated on two poster submissions that were accepted for presentation. This group of will present one poster at ACF’s National Conference on Early Childhood 2018 (NRCEC) in Arlington, Virginia in June, and the other poster at the American Psychological Association Annual Convention in San Francisco in August. Kelly Jedd McKenzie, Cohort Five fellow, was featured in the most recent SRCD newsletter spotlight! Elizabeth Miller, Cohort Five fellow, accepted a position as a postdoctoral scholar in the Clinical and Translational Science Fellowship TL1 program at the University of Pittsburgh and will receive her PhD in August 2018. Save The Date: Doris Duke Fellowships Annual Meeting: Wednesday, September 12, 2018 – Friday, September 14, 2018 at Chapin Hall at the University of Chicago. Open Call for Conference Submissions: Association for Public Policy Analysis & Management Annual Fall Research Conference: November 8-10, 2018 Click here for more information. Open Call for Conference Submissions: American Anthropological Association 2018 Annual Meeting: November 14-18, 2018. Click here for more information.